WASHINGTON -- The nation owes a substantial debt to Justice Samuel Alito for his display of unhappiness over President Obama's criticisms of the Supreme Court's recent legislation -- excuse me, decision -- opening our electoral system to a new torrent of corporate money. Alito's inability to restrain himself during the State of the Union address brought to wide attention a truth that too many have tried to ignore: The Supreme Court is now dominated by a highly politicized conservative majority intent on working its will, even if that means ignoring precedents and the wishes of the elected branches of government. Obama called the court on this, and Alito shook his head and apparently mouthed "not true." His was the honest reaction of a judicial activist who believes he has the obligation to impose his version of right reason on the rest of us. The controversy also exposed the impressive capacity of the conservative judicial revolutionaries to live by double standards without apology. The movement's legal theorists and politicians have spent more than four decades attacking alleged judicial abuses by liberals, cheering on the presidents who joined them in their assaults. But now, they are terribly offended that Obama has straightforwardly challenged the handiwork of their judicial comrades. There is ample precedent for Obama's firm but respectful rebuke of the court. I know of no one on the right who protested when President Reagan, in a 1983 article in the Human Life Review, took on the Supreme Court's Roe v. Wade decision of 10 years earlier. "Make no mistake, abortion-on-demand is not a right granted by the Constitution," Reagan wrote. "No serious scholar, including one disposed to agree with the court's result, has argued that the framers of the Constitution intended to create such a right. ... Nowhere do the plain words of the Constitution even hint at a 'right' so sweeping as to permit abortion up to the time the child is ready to be born." Reagan cited Justice Byron White's description of Roe as an act of "raw judicial power," which is actually an excellent description of the court's ruling on corporate money in the Citizens United case. Reagan had every right to say what he did. But why do conservatives deny the same right to Obama? Alternatively, why do they think it's persuasive to argue, as Georgetown Law professor Randy Barnett did in The Wall Street Journal, that it's fine for a president to take issue with the court, except in a State of the Union speech? Isn't it more honorable to criticize the justices to their faces? Are these jurists so sensitive that they can't take it? Do they expect everyone to submit quietly to whatever they do? In fact, conservatives have made the Supreme Court a punching bag since the 1960s, when "Impeach Earl Warren" bumper stickers aimed at the liberal chief justice proliferated in right-wing precincts. Richard Nixon made the Warren court's rulings on criminal justice a major issue in his 1968 presidential campaign. "Let us always respect, as I do, our courts and those who serve on them," he said in his acceptance speech that year. "But let us also recognize that some of our courts, in their decisions, have gone too far in weakening the peace forces as against the criminal forces in this country, and we must act to restore that balance." Many conservatives cheered this, too. As for the specifics of Obama's indictment, Alito's defenders have said the president was wrong to say that the court's decision on corporate political spending had reversed "a century of law" and also opened "the floodgates for special interests -- including foreign corporations." But Obama was not simply referring to court precedents but also to the 1907 Tillman Act, which banned corporate money in electoral campaigns. The court's recent ruling undermined that policy. Defenders of the decision also say it did not invalidate the existing legal ban on foreign political activity. What they don't acknowledge is that the ruling opens a loophole for domestic corporations under foreign control to make unlimited campaign expenditures. Alito did not like the president making an issue of the court's truly radical intervention in politics. 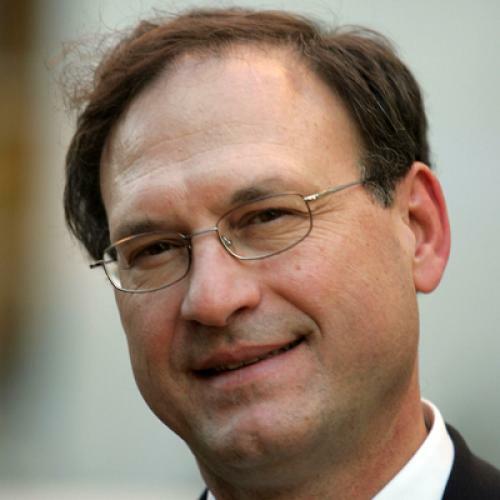 I disagree with Alito on the law and the policy, but I have no problem with his personal expression of displeasure. On the contrary, I salute him because his candid response brought home to the country how high the stakes are in the battle over the conservative activism of Chief Justice John Roberts' court.